Disney just provided some additional artwork and announced a general timeframe for the opening of the new Coronado Springs Tower. The 15 story tower, which will add 545 guests rooms will open Summer of 2019. This will also add an additional 50 suites to the property. The tower will be the new entry and check-in area for the resort. 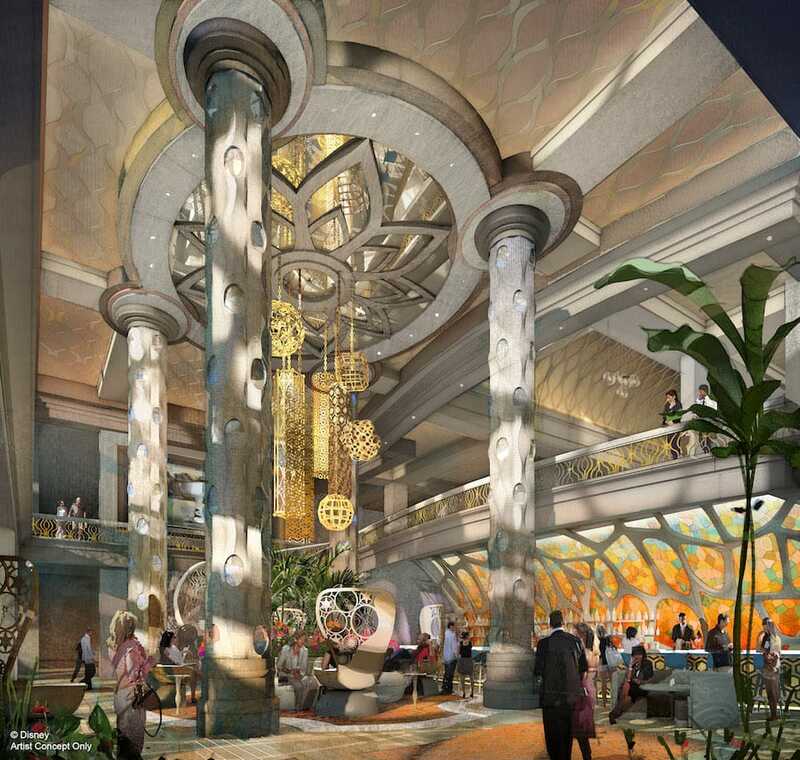 The lobby will be a grand, two story area with an area to relax while your family checks into the resort. The artwork looks amazing! 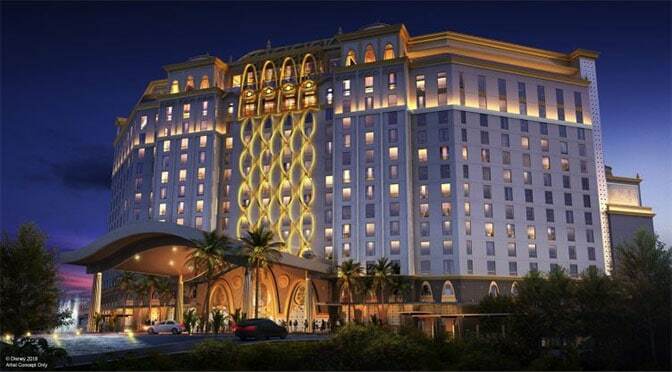 Disney – The rest of Disney’s Coronado Springs Resort is being refreshed, as well. All 1,800-plus existing rooms have been fully updated with new fixtures, furnishings and lighting. Another new restaurant will be located on an island in the middle of the resort’s 14-acre lake, Lago Dorado, with new walkways stretching across the water allowing for quick and convenient walks to and from all parts of the resort. And a fresh, sophisticated color palette will tie the entire experience together, blending the new and the newly reimagined. What do you think of the new tower? Any idea when the water restaurant will open? Will the tower restaurant open in the summer too? We visit to CSR in Oct 2019 and were so excited! Kenny, what is going to happen to the current lobby / front desk area / elcentro … do we know ?